The week is not going quite as quickly as I would like. I was so sure that a four day week would just fly by, but that seems to be entirely not the case. This slow week has made me feel pretty lethargic over all, but I have gotten my workouts done. Even if they were a little unconventional at times. Today, I headed to the gym to do my normal running, but for some reason, I kept getting a pretty big stitch in my side that just wouldn’t quit. I ended up hoping off the old treadmill and heading over to the bike to try to bang out some HIIT. Wow. I had never done HIIT on a bike before and while my hear trate didn’t quite get up to the levels it does while running, it was in the upper 160s the whole time. After I was done, I was surrounded by a pool of sweat (more like a small lake, but who’s counting) and it got me thinking. Why is it that completely exhausting myself is one of my favorite parts of my day? This quote popped up when I was searching around for motivation the other day and it struck a chord. You can have all the money in the world, but what is it good for if you’re not healthy enough to enjoy it. You dictate how you feel and how you life. Don’t forget this. What you put in, you get out. So put in good things and you will be wealthier than you ever imagined. Health has long been an important topic for me. I get more joy about researching nutrition, new workouts, information on the body etc. than I do from pretty much anything else. I can get sucked into a vortex of research papers and articles highlighting the pros and cons of a subject and always want to share my new found knowledge with others, so I try to surround myself with like-minded people. My family being one of them. My mother has always been a big proponent of working out and eating right and instilled that into my mind from a young age. My father only more recently hopped on the fitness bandwagon, but getting to be on this journey with him is one of my favorite things. My brother on the other hand…well, he’s a different story all together. My brother is almost the exact antithesis of myself. Over 6 feet tall and just a big guy in all aspects. He swam for awhile when we were growing up, but never really saw fitness and healthy eating as a priority. I had tried for years to try and teach him a little bit about why not eating dinner and then consuming an entire family size bag of Doritos and a large soda wasn’t entirely the best idea, but it never stuck. But recently, there’s been a shift. I bought my brother a Jawbone UP 24 because they were on sale on Groupon. I received mine over Christmas and got my father and my mother one on separate occasions. I bought my brother’s with a bit of hesitation. Honestly, I wasn’t convinced he was going to use it, but I went for it anyway. He let me know when he received it and thanked me, but I didn’t expect much. 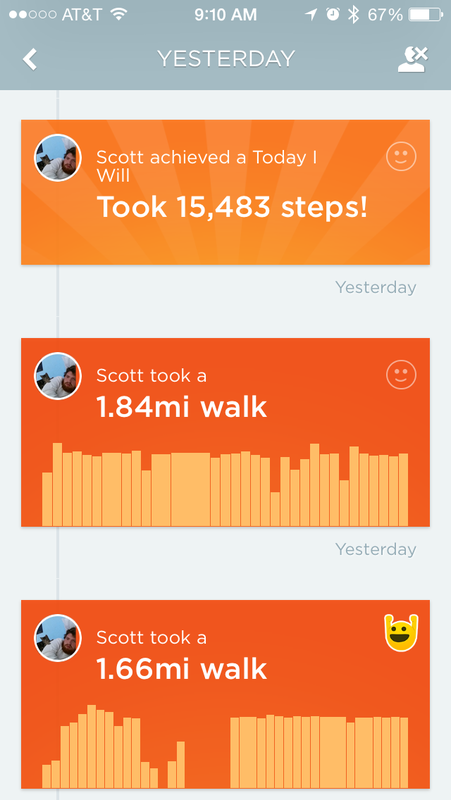 Then, the next day, I was scrolling through my feed and noticed he had actually taken a substantial amount of steps. A weird swell of pride surged within me. As the days passed, I would check his steps almost religiously, shocked every time he came close to beating me (or more than occasionally surpassed me). I ended up calling him out on it and asking me how he was getting so many steps and he replied “I just started watching Netflix and taking aimless walks instead of watching it in my bed”. This made my day in ways I cannot describe. For years, as soon as summer or winter vacation began, he would tether himself to his bed and leave every once and awhile for an occasional snack. It was like a hibernation of sorts and I knew he was just killing himself wasting away in this state. To see him decide to do good for himself and invest in his health is something that can’t be compared. It’s this feeling that makes me want to maybe one day get my Personal Training Certificate. 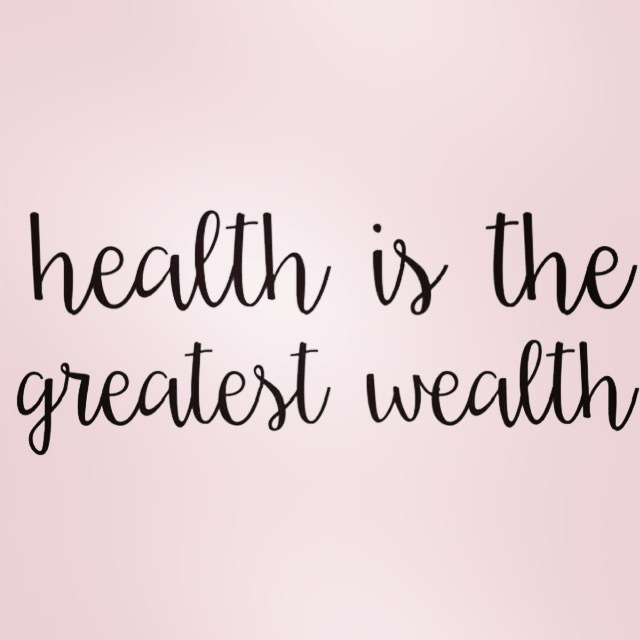 Helping someone to realize their potential and get the greatest return on their investment for their body is something that really makes me truly happy. I really hope he sticks with it, but, if not, I’m glad I could be instrumental in getting him moving. Even if it’s just a few steps. 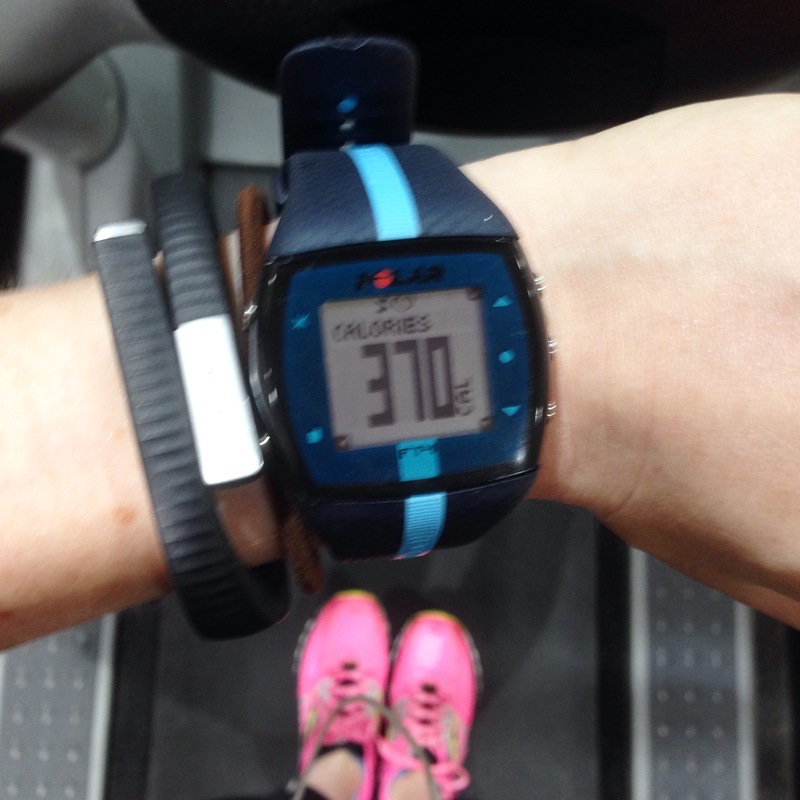 tips & tricks to making your treadmill runs fly. Week 3 (well really week 15) of the BBG begins. I had a pretty erratic morning involving me talking two dogs on two separate walks and then getting locked out of my apartment in the process, so I had to push my workout back a little today. But the most important part is, I got. it. done. I go though phases of being a morning workout person and needing to go at other times during the day. The spring and summer months make it increasingly easy to get up and get going because you don’t have to fight your body’s natural circadian rhythm of rising with the sun as it is already up and ready to great you. I like to knock out at least half of my workout in the morning. It makes me feel accomplished and I swear sometimes my brain isn’t awake enough to realize what I’m doing to it. Yesterday, I really wasn’t feeling the whole running thing. I knew I was going to do it eventually, but I didn’t feel like starting right when I got there. I hopped on the elliptical and warmed up for a couple minutes and then headed to the treadmill. I had no problem getting my heart rate up there, but I needed something to make it fly. I began to alternate my speeds every minute. 8.2 for a minute, 8.8 for a minute, 8.3 for a minute, 8.8 for a minute, 8.4 for a minute, 9 for 2 minutes etc. It wasn’t a strict plan, but knowing that all I had to do was keep going through that one minute and then I would get to relax was all I needed. The run flew and at the end I had tackled 4 miles no problem. Your playlist is everything. Choose songs that you like to groove to and dance along if you’re into it. You may look a little crazy, but I swear it’s so fun the time will fly. Aim for shorter distances. Tell yourself you’re just going to run .5 of a mile. Once you reach it, you can keep going if you feel like it or stop, reset, and tell yourself you’re going to run .5 of a mile again. These .5’s add up and are a lot easier for your brain to manage than doing 7 miles straight on a belted machine. TV and podcasts make for a nice change of pace. I like to watch the news if I’m at the gym in the morning and get lost in the troubles of the world or, in stark contrast, Friends in the afternoon. I’ve done runs listening to podcasts as well which is always a good time if the topic is interesting to you. I highly recommend This American Life, Wait, Wait Don’t Tell Me, Ask Me Another, and, of course, Serial. Not every run flies, but there are little tips and tricks you can incorporate into your routine to help toy with the clock. But, when in doubt, opt for something else other than running. Some days we’re just not feeling it. 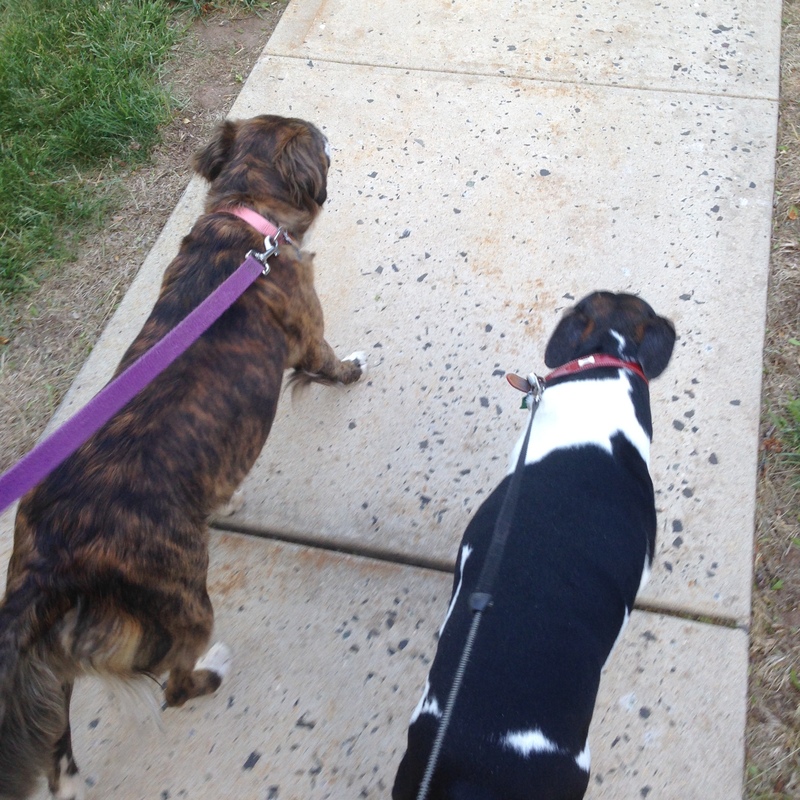 I like to take my pup on an extra-long walk if I’m looking to get some low key exercise. She helps me pass the time like no other.